Honolulu, Hawaii — Derek Akiyoshi has been appointed interim chief executive officer for the Hawaii Health Systems Corporation, Oahu Region. He will succeed Vincent Lee, who is retiring as regional CEO on December 31, 2013, after 12 years of outstanding leadership. Akiyoshi has served as Administrator at Maluhia since November 2011. Prior to that, he served as Assistant Administrator at Convalescent Center of Honolulu, Human Resources Business Unit Manager at Hawaiian Telcom, and operation positions at Hawaii Transfer Company Ltd., and Grace Pacific Corporation. 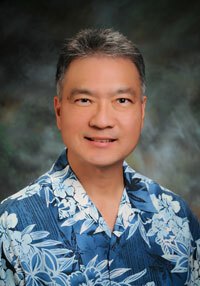 Additionally, Akiyoshi serves as the Vice Chair of the Healthcare Association of Hawaii (HAH) Long Term Care Division. Mr. Akiyoshi’s nursing home, extensive administrative and operations experience are important assets that will assist the HHSC Oahu Region continue to respond effectively to the ever-changing healthcare needs of our growing aged population,” said HHSC Oahu Region Board Chair Patricia O’Hagan, Ph.D.
Leahi Hospital and Maluhia, in addition to 11 other facilities, are operated and managed by HHSC. Established in 1996, HHSC is a public benefit corporation of the State of Hawaii. As the state’s community-hospital system, HHSC continues to fulfill the state’s promise to provide quality, hometown healthcare.